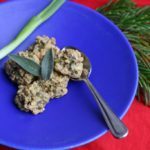 A Low FODMAP Christmas Dinner & A Recipe For Sage & Spring Onion Stuffing | The Free From Fairy. About a month ago I asked the members of a low-FODMAP Facebook group what they would miss this Christmas because of their IBS and diet. The answers were as to be expected; mince-pies, Christmas cake, sweet pastry, stuffing, bread sauce, gravy and Christmas pudding. Over the last few weeks I have therefore been busy in the kitchen creating alternatives to some of these items. 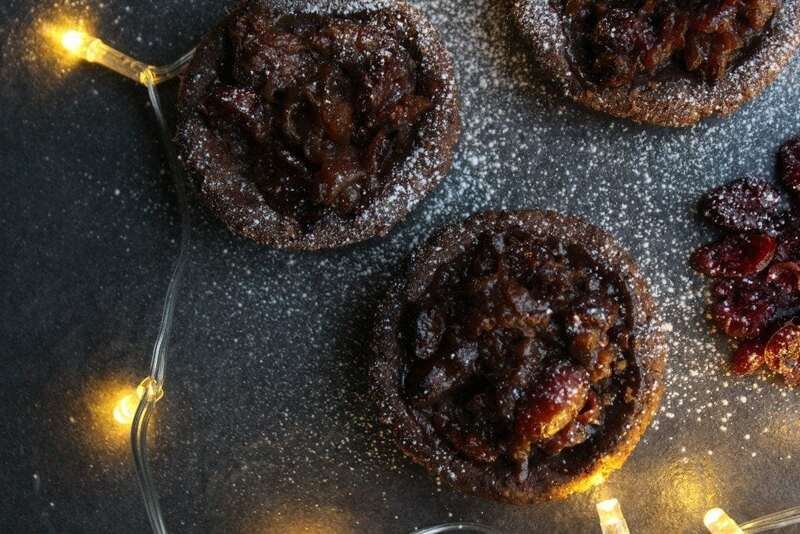 I admit defeat when it comes to Christmas pudding, but I have some alternative suggestions for that special after dinner treat and will be posting a recipe for a quick microwave chocolate sponge pudding next week! I also hope to have a vegetarian nut and vegetable roast recipe to share next week too! So without further ado, here are my suggestions for a tummy friendly Christmas dinner this year! I won’t mention the turkey or meat because that is naturally fine! With regards pigs in blankets then I would recommend buying the Tesco Finest ones which are gluten-free and delicious. When it comes to gravy I always use the juices from the roasted bird with water or stock thickened with a bit of cornflour (make sure you mix the cornflour with some water before adding to the pan). Once the bird is removed from the pan, add the water and place over the hob. Add the cornflour mixed with water and simmer until thickened. Alternatively make your gravy ahead by following Jamie Oliver’s recipe here. Make sure you use leek tops or spring onion tops instead of onion, and gluten-free flour. Omit the sherry and cranberry sauce too! Bread sauce is easy to make. In our house there are always gluten-free bread crusts left over. I freeze these and then add them to my food processor to make bread crumbs whenever a recipe calls for such a thing. You could, of course, make a load of breadcrumbs from a loaf of bread and freeze them ready to use! To make bread sauce I usually follow this recipe by Delia. This year to make it low FODMAP I will use spring onion tops instead of the onion and I’ll count how many cloves I have added (so I can fish them out). Since I don’t eat dairy and nor does Roo, I will use almond milk and coconut oil instead of the milk and butter. If you can tolerate dairy then you could just use lacto-free milk and butter. Finally on the savoury front, Cranberry sauce, something I personally don’t like, but I know many people do! Alana over on A Little Bit Yummy has the perfect recipe for you that you can find here. Remember though that if you plan to have a bit of pudding you might want to skip this since a serving of sugar on the low FODMAP diet is only 1 tablespoon! So on to pudding or sweet treats! I have already posted my low-FODMAP mincemeat recipe which can be used alongside my gluten and dairy-free shortcrust pastry, or my grain-free pastry (if you don’t get on with the shop bought gluten-free flour blends). 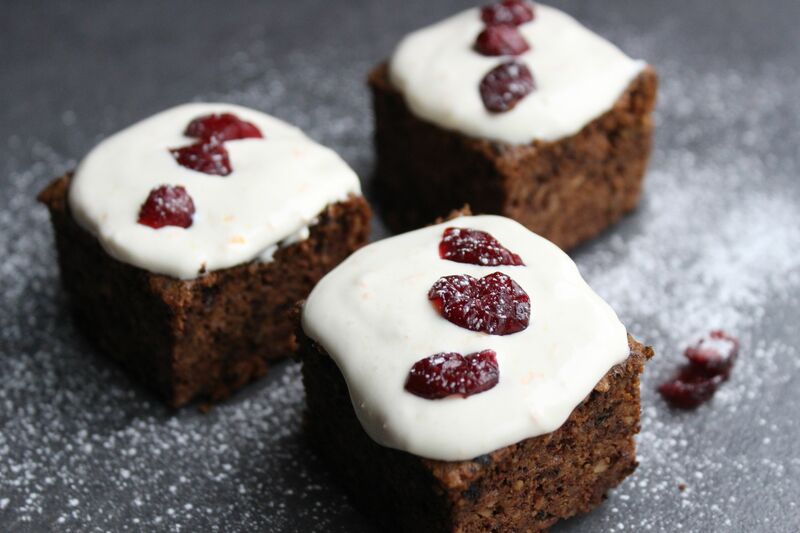 I have also shared my alternative to a Christmas cake that went down a storm in this house and with a few people who I know have tried it out! If none of those tickle your fancy then how about a Buche De Noel (or yule log in plain english!)? I made this one last year using Mary Berry’s recipe. This year I plan to make it entirely dairy-free. I will substitute the cream in the ganache for tinned coconut milk, and I will use whipped tinned coconut milk for the filling (if you don’t know how to do that then follow this recipe by Minimalist Baker…a favourite blog of mine). Believe me, I have made both elements for other recipes and they are fantastic. Even the coconut-hater that is Mr M had no idea there was coconut involved! As with all my recipes, I will reduce the sugar by at least 1/4, if not 1/2. 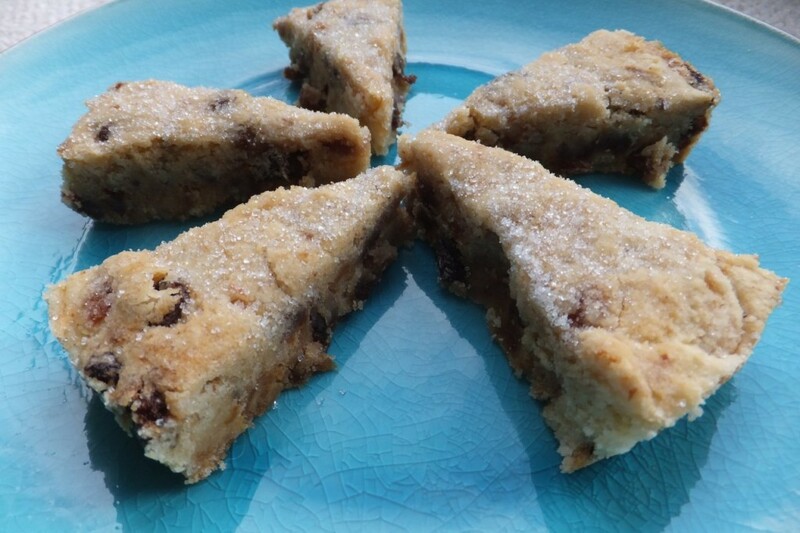 If you would like a tea-time treat, why not try making my chocolate and cardamom shortbread, or mincemeat shortbread using my low-fodmap mincemeat? Both are divine, but be warned, they are hard to resist…and being on the low FODMAP diet you will know that it is all about quantities! Make sure you stick within the recommended portion size for foods or you could be ill even if you eat low FODMAP foods. If you are unsure about that then check out this brilliant blog post. 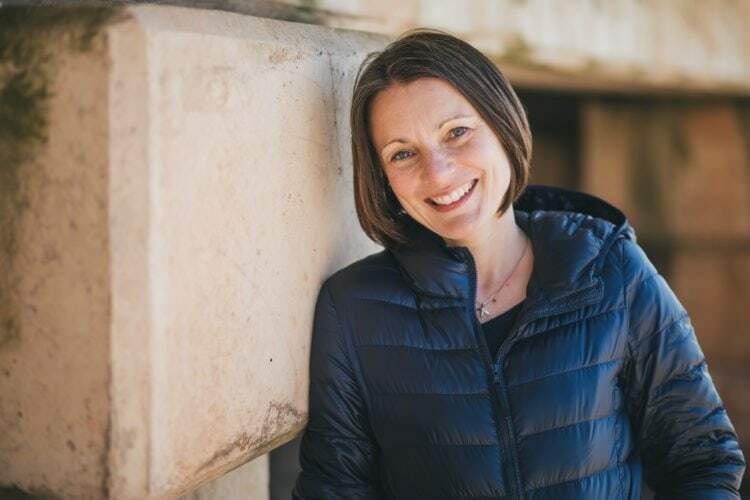 I’m afraid I haven’t worked out the portion sizes for these recipes for you…that is something that you will have to work out for yourself based on your own symptoms and stage within the low FODMAP diet. 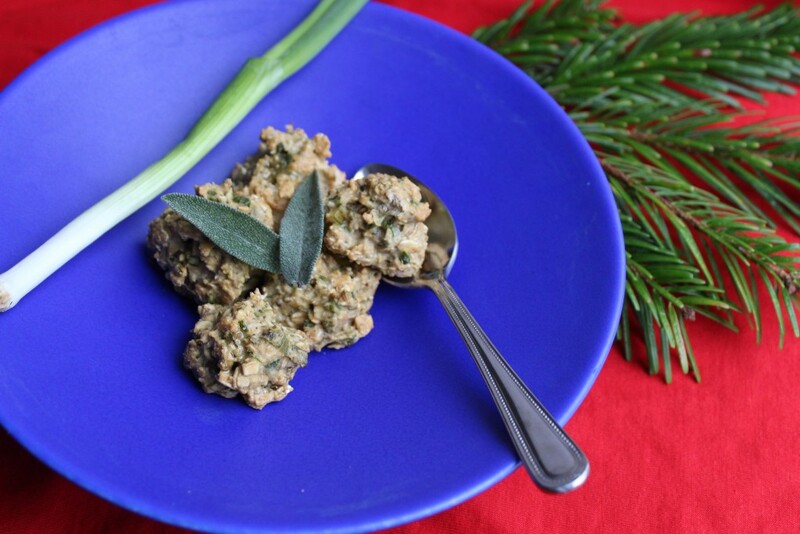 My final Christmas gift is going to be my recipe for sage and spring onion stuffing! I made this with oats because I don’t tolerate yeast very well. I make oat flour by putting oats in my coffee grinder. If you are not a coeliac then you will be able to get away with using ‘normal’ oats. You can also make it with gluten-free breadcrumbs if you can tolerate them! Enjoy.